Electro Surgical Units: A radical change in surgery! 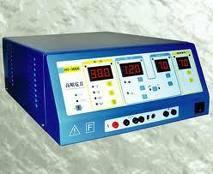 An electrosurgical unit are used in electro surgeries among the many other laboratory furniture, where high frequency electric currents are used to cut, coagulate, dehydrate or fulgurate tissues. While a surgery is performed, there is too much blood loss as the tissues and blood vessels are cut resulting in bleeding. In order to avoid or reduce the blood loss an electrosurgical unit is used. This electro surgical equipment uses an electric current of frequency 500 kHz to cut and coagulate the tissue. When the electrical current is passed through the tissue, it gets heated up resulting in evaporation of the water which ultimately destroys the cells. Thus, the process of cutting, clotting and dehydrating the blood cells and tissues is achieved with minimal blood loss.